You want to study at TU Graz, but you're not yet sure which degree is right for you? Or do you want to learn about everyday life at university, which future career prospects your chosen degree could bring, or whether it is possible to study if you have a child? TU Graz provides prospective students with professional support as well as information on other sources of advice. You are getting close to obtaining your secondary school leaving certificate? You are wondering what will be next? Come to the Open Day at the Graz universities and find out which degree programmes are available. Making a decision will be much easier after you have spent the day exploring University of Graz, TU Graz and the University of Music and Performing Arts. Specialist information can make it easier to decide on a degree programme. At Career Information Fairs, TU Graz also provides you with information on careers, studying and continuing education, e.g. You can find the next dates on the job, training and education fair website: BeSt3. You want to study, but don’t know which degree is right for you? You can’t quite decide because you don’t know enough about career options available after graduation? You can ask all these questions at the general Academic Advisory Services offered by TU Graz. You already know what you want to study and now have questions about the admission procedure, about registration and admission, the tuition fee, or the orientation phase (STEOP)? The registration office team is happy to help! In the registration office team, you will find just the right person to answer your questions. By students for (prospective) students : the advisors at the TU Graz Student Union offer a wide variety of support. As a prospective student, you can get advice on the registration process as well as on the contents of degree programmes you are interested in. Are you a graduate or a skilled worker with relevant qualifications and professional experience? Do you want to develop your knowledge of technology or the natural sciences? The TU Graz Life Long Learning team gives advice on university certificate programmes and courses at TU Graz. Would you like to test out a degree? Are you unsure which degree you will find interesting? Do you want to make sure that your first choice is right for you? With “Trying out studying”, you have the opportunity to participate in taster courses for the degree programmes that interest you. You participate in a course accompanied by a student. Afterwards, there will be an advice session where you can ask any questions you may have. 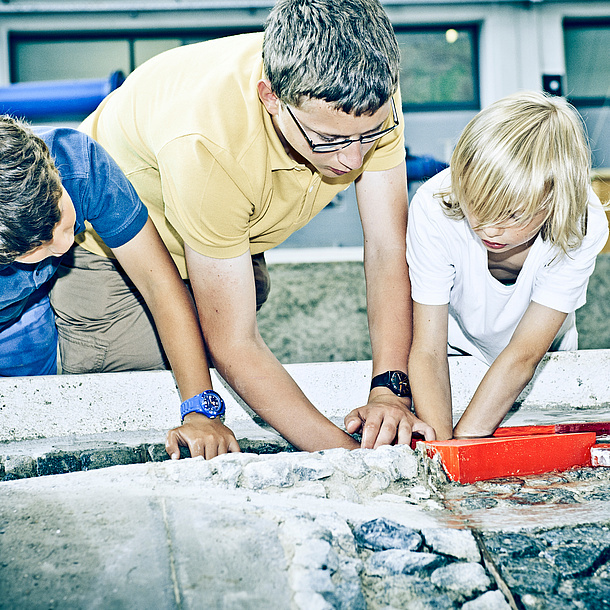 The motto of the Children's University of Graz is “get children interested in science, research and art”. Children and teenagers from 8 to 19 years of age are introduced to university life by means of lectures and workshops especially adapted to meet their needs. Are you looking for permanent and/or flexible childcare so that you can study at TU Graz? TU Graz Representative for Work/Studies-Life Balance gives advice and provides information on ways to combine studying with family life. The end of school is getting closer - soon you’ll have to decide what to do next. Is studying the right choice? What degree programmes are available? And what is university life like? How can a teacher organise their lessons so that pupils develop an interest in science and research? If you cannot participate in the Open Day, you can arrange an individual appointment for a group tour around TU Graz. School classes are provided with general information on degree programmes and visit selected institutes. 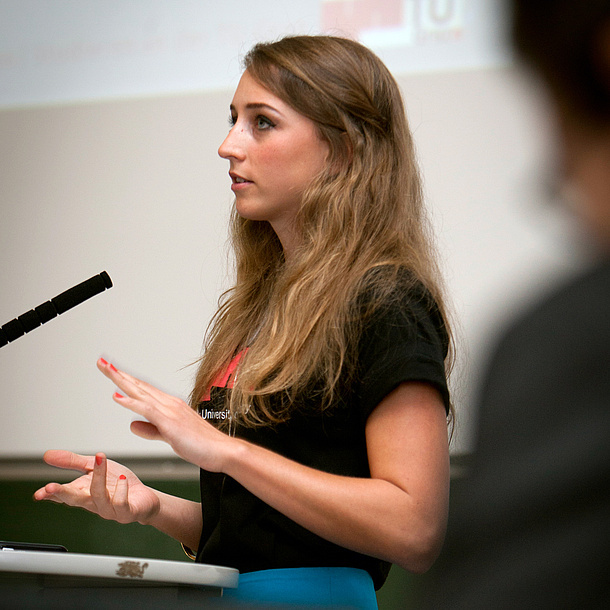 A degree programme advice team, made up of students at TU Graz, comes to your school and provides information. They give a presentation on all available degree programmes, and answer questions on degrees and university life. IMST (Innovations make schools top) aims to support teachers in making mathematics, computer science, natural sciences and technology classes more innovative. Graduates of degrees programmes in a technical subject or the natural sciences have very good professional, income and career prospects. Despite this, women are still underrepresented in these programmes. TU Graz wants to get rid of any possible inhibitions! As a female pupil, where can find out about degree programmes in technical and natural science subjects? How can you become a holiday intern and get a unique insight into university life? Where can you find a supportive environment when you start using computers? The initiative FIT – Women in Science and Technology aims to encourage girls to study a technical or natural science subject. TU Graz cooperates with other Styrian universities, universities of applied sciences and colleges, and provides information on degree programmes. Girls studying a technical or natural science subject visit schools as FIT ambassadors. 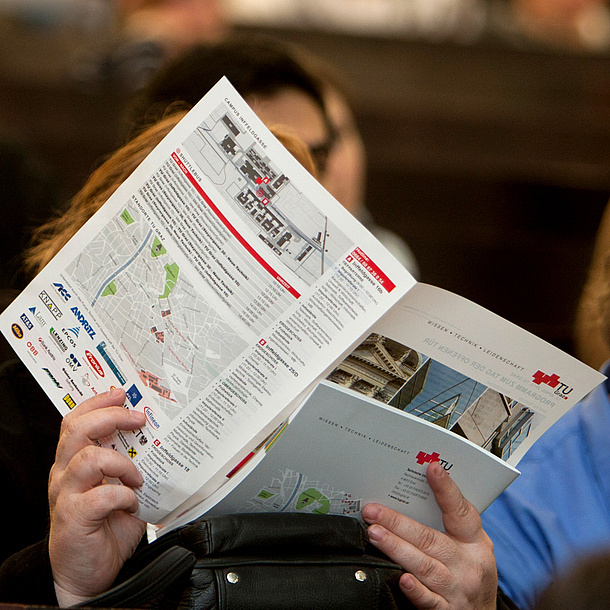 At the FIT info day at TU Graz in February, you can familiarise yourself with the university and the courses offered. There are institute presentations, lectures, laboratory practicals and discussion groups. Organisation of school fairs and participation in interregional fairs such as BeSt3 in Vienna. Do you want to get up close to science and research? Do you want to get to know the world of technology? Do you want to find out more about the work of the institutes and faculties at TU Graz? Well, with a summer job at TU Graz, you can! Every year, around 100 girls aged 15 years or over have the chance to experience technology at TU Graz during the holidays. The pupils are involved in everyday life at the institute, take part in course preparation and research activities. They are supervised by an academic member of staff - if required, even after the summer job has ended, e.g. during school projects or when choosing a degree programme or career path. Summer job employees receive a salary. Completion of 9th school year, over 15 years of age. You can only apply for a summer job in the framework of T³UG - Teens Tackle Technology after participating at the FIT info day at TU Graz on 10 February 2020. Have fun discovering computers, gain an insight into technology and science, become more confident of your technical skills - all this is possible at CoMaed, the summer computer course for girls aged 10 years and up. It starts with a 2-week, full day beginners course, which is followed by week-long advanced courses, where participants progress to programming and the summer job programme T³UG - Teens Tackle Technology (15 years and up). Science builds bridges! Are you thinking of studying at TU Graz? You can rely on us to support you before, during and after your stay. The International Office – Welcome Center team is your first point of call if you have any questions about your semester abroad at TU Graz.